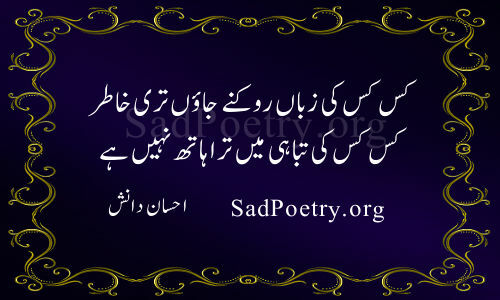 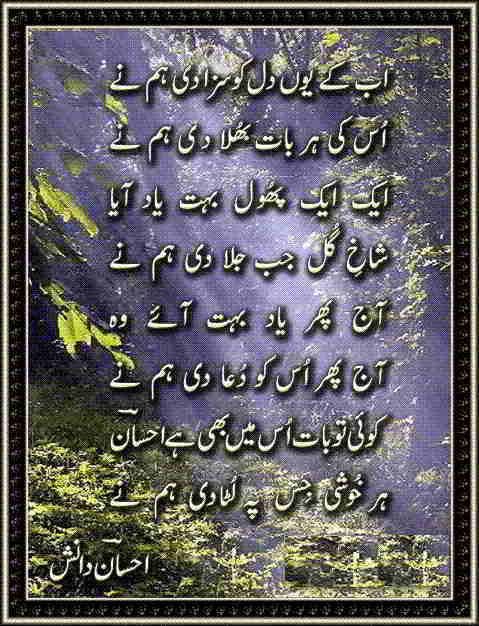 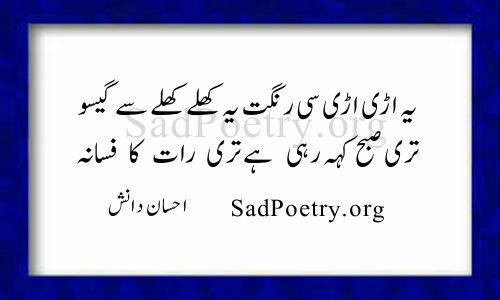 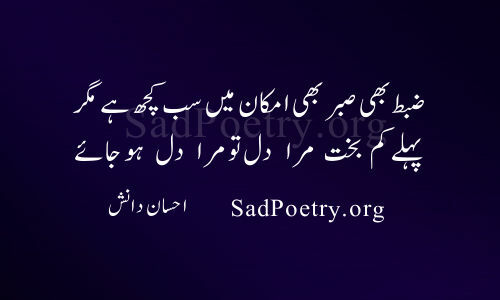 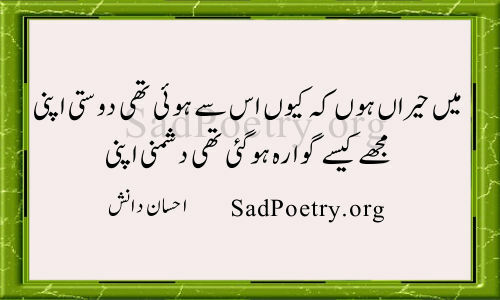 Enjoy the best collection of Ehsan Danish poetry and ghazals. 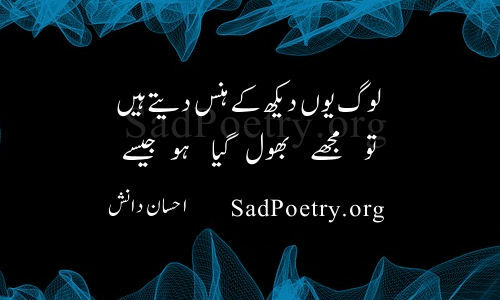 He has written more than 80 books and articles. 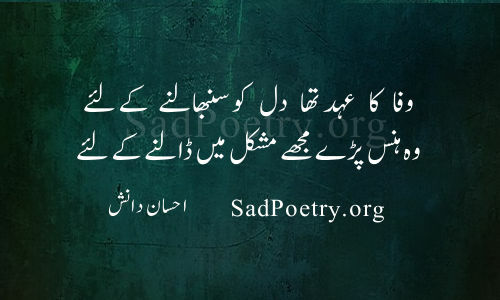 Read his romantic and revolutionary poetry collected from his different books. 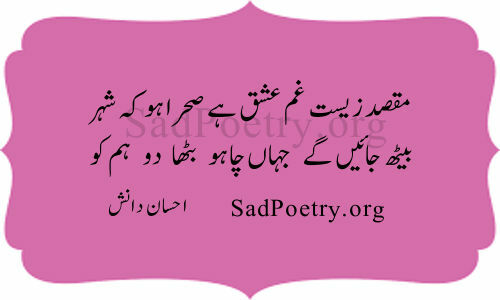 Our poetry collection is updated on regular basis.